The grip is a bit more compact than Pachmayr Compacs. It's compact enough so a j-frame fits in my pocket. However, the padding on the back of the grip that covers the rear is enough so that those S&W Airweights with 158 grain +p ammo don't kill the web of my hand the way other grips do. I like it so much I've gotten the same grip for my beloved GP100 and S&W 65. 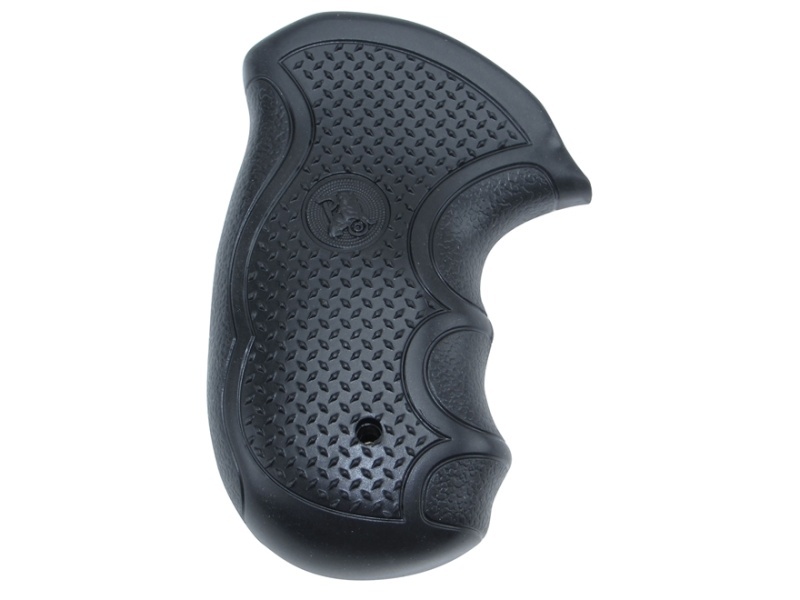 It's also well rounded so that when I carry in an IWB holster, there are no corners or bulges that print, regardless of the cover garment or shirt I wear. The one downside is that, depending on which revolver you're using, you might have to pull out the roll pin that sits at the bottom of the grip frame on S&W's. I did it, and it's a small price to pay for the combination of comfort and concealability. If you're looking for a good revolver grip, I recommend it highly. hmmmmm, I will have to check to see if the local shop carries them. I have a hard time spending money on grips without trying them out first. Yeah, it took some faith for me. I couldn't find any locally and I just ordered them from Amazon. However, I was getting pretty desperate to find a solution for my hard-kicking j-frames and was willing to take that risk. I think they go for around $20.